Simon is also Professor of Computational Methods and Director of the Microsoft Institute for High Performance Computing within Engineering and the Environment. He has a doctorate in Electronics and Computer Science, first class degrees in Maths and Physics and has won over £30Mn in research & enterprise funding, and industrial sponsorship. He has published over 250 papers and regularly speaks at prestigious national and international conferences. His teaching focussed on courses related to computing, design, and enterprise in Engineering. He is a Microsoft Most Valuable Professional and has been annually awarded this international status since 2003. 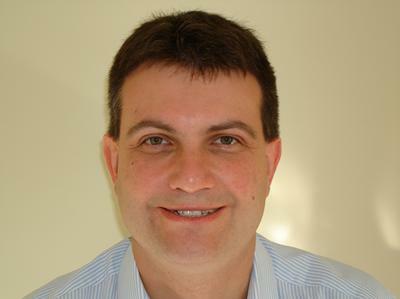 Simon also works on a range of outreach projects and has run a “Supercomputing in Engineering Course” since 2005 with the Smallpeice trust. In Sept 2012 he built the world’s first Raspberry Pi and Lego based supercomputer. My research focusses on computational tools, technologies and platforms and how they enable interdisciplinary problems to be solved in engineering and science. Computational electromagnetics– which led to the formation of a spin-off company. New algorithms such as meshless methods and fast solvers. Simon is also Director of the Microsoft Institute for High Performance computing where he demonstrates why, where and how current and future Microsoft tools and technologies can be exploited to enable engineering and scientific research to deliver faster, cheaper and better results. Johnston, S., Apetroaie-Cristea, M., Scott, M., & Cox, S. (Accepted/In press). Applicability of commodity, low cost, single board computers for Internet of Things devices. World Forum on Internet of Things (WF-IoT) 2016, 1-6. Javed, A., Djidjeli, K., Xing, J. T., & Cox, S. J. (2013). A hybrid mesh free local RBF-Cartesian FD scheme for incompressible flow around solid bodies. International Journal of Mathematical, Computational, Physical, Electrical and Computer Engineering, 7(10), 61-70. Matsumoto, K., Tokos, K. S., Price, A. R., & Cox, S. J. (2008). First description of the Minnesota Earth System Model for Ocean biogeochemistry (MESMO 1.0). Geoscientific Model Development, 1(1), 1-15. Matsumoto, K., Tokos, K. S., Price, A., & Cox, S. (2008). GENIE-M: a new and improved GENIE-1 developed in Minnesota. Geoscientific Model Development, 1(1), 1-37. Paventhan, A., Takeda, K., Cox, S. J., & Nicole, D. A. (2007). Federated database services for wind tunnel experiment workflows. Scientific Programming, 14(3-4), 173-184. Price, A. R., Voutchkov, I. I., Edwards, N. R., Hughes, J. K., Lunt, D. J., Lenton, T. M., ... Cox, S. J. (2007). Multiobjective tuning of GENIE Earth system models. Geophysical Research Abstracts, 9, 10551. Price, A. R., Jiao, Z., Lenton, T. M., Williams, G., Valdes, P. J., Cox, S. J., & GENIE team (2006). Exploiting the Grid for collaborative ensemble studies using GENIE Earth System Models. Geophysical Research Abstracts, 8, 8643. Price, A. R., Jiao, Z., Yool, A., Lunt, D. J., Valdes, P. J., Cameron, D. R., ... Cox, S. J. (2005). GENIE: Exploiting Grid enabled computing and data handling resources for integrated Earth system modelling. Geophysical Research Abstracts, 7, 8716-8716. Eres, M. H., Pound, G. E., Jiao, Z., Wason, J. L., Molinari, M., Song, W., ... Cox, S. J. (2005). The Geodise project: making the Grid usable through Matlab. GRIDtoday, 4(8). Wu, B., Dovey, M., Ng, M. H., Tai, K., Murdock, S., Fangohr, H., ... Sansom, M. S. P. (2004). A web/grid portal implementation of BioSimGrid: a biomolecular simulation database. Journal of Digital Information Management, 2(2), 74-78. Fangohr, H., Koshelev, A. E., Dodgson, M., de Groot, P. A. J., & Cox, S. J. (2002). Numerical simulation of pancake vortex lattice melting. Bulletin of the American Physical Society, 47, 143. Molinari, M., Cox, S. J., Blott, B. H., Daniell, G. J., Fischer, G. (Ed. ), & Roithinger, F. X. (Ed.) (2001). Efficient non-linear 3D electrical tomography and finite element optimizations for functional source imaging. Biomedizinische Technik / Biomedical Engineering, 46(E2), 130-131. COX, S. J., SLUCKIN, T. J., & RESHETNYAK, V. Y. (1998). Effective Medium Theory of Light Scattering in PDLC films. Journal of Physics D: Applied Physics, 31, 1611-1625. Cox, S. J., Daniell, G. J., & Nicole, D. A. (1998). Using Maximum Entropy to Double One's Expected Winnings in the UK National Lottery 1998. J.R.Statist.Soc., 47, 629-41. RESHETNYAK, V. Y., SLUCKIN, T. J., & COX, S. J. (1997). Effective Medium Theory of Polymer Dispersed Liquid Crystal Droplet Systems II: Partially Oriented Bipolar Droplets. Journal of Physics D: Applied Physics, 30(23), 3253-3266. RESHETNYAK, V. Y., SLUCKIN, T. J., & COX, S. J. (1996). Effective Medium Theory of Polymer Dispersed Liquid Crystal Droplet Systems I: Spherical Droplets. Journal of Physics D: Applied Physics, 29(9), 2459-2465. Cox, S., & Johnston, S. (Eds.) (2017). 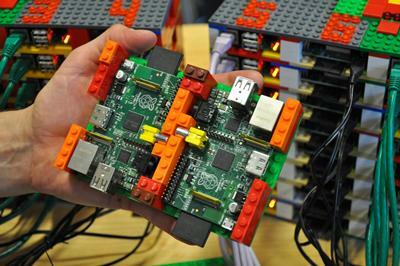 Raspberry Pi technology. Basel: MDPI AG. Steven, J., Simon, C., & Kenji, T. (Accepted/In press). Scientific computation and data management using Microsoft Azure. In G. Aloisio, & S. Fiore (Eds. ), Grid and Cloud Database Management Springer. Thomas, K. S., Cox, S. J., Beckett, D. H., Hiett, B. P., Generowicz, J., & Daniell, G. J. (2001). Eigenvalue spectrum estimation and photonic crystals. In Euro-Par 2001: Parallel Processing: 7th International Euro-Par Conference (pp. 578-586). (Lecture Notes in Computer Science; No. 2150). Berlin, Germany: Springer. Hiett, B. P., Generowicz, J. M., Cox, S. J., Molinari, M., Beckett, D., Parker, G. J., & Thomas, K. S. (2001). Finite element modelling of photonic crystals. In PREP 2001: Third conference on postgraduate research in electronics, photonics, communications and software : 9-11 April 2001,University of Keele, UK (pp. 87-88). Engineering and Physical Sciences Research Council. Basford, P. J., Johnston, S., Apetroaie-Cristea, M., Bulot, F., & Cox, S. (Accepted/In press). LoRaWAN for city scale IoT deployments. Paper presented at Global IoT Summit, Aarhus, Denmark. Poulter, A. J., Johnston, S., & Cox, S. (Accepted/In press). pySRUP – simplifying secure communications for command & control in the Internet of Things. In IEEE 5th World Forum on the Internet of Things IEEE. Wollatz, L., Frampton, S., Konieczny, K., Mitchell, T., Johnston, S. J., Cox, S. J., ... Ismail-Koch, H. I. (2018). 3D-printed paediatric temporal bones as an alternative tool for otological training. Poster session presented at 14th Congress of the European Society of Pediatric Otorhinolaryngology, Stockholm, Sweden. Johnston, S. J., Scott, M., & Cox, S. J. (Accepted/In press). Recommendations for securing Internet of Things devices using commodity hardware. Paper presented at 3rd IEEE World Forum on Internet of Things 2016 (IEEE WF-IoT 2016), United States. Poulter, A., Johnston, S., & Cox, S. (2016). SRUP: the Secure Remote Update Protocol. Paper presented at IEEE World Forum on the Internet of Things 2016, United States. Wollatz, L., Konieczny, K., Vandervelde, C., Mitchell, T., Cox, S. J., Burgess, A., & Ismail-Koch, H. (2016). The use of 3D printed paediatric temporal bones as a training tool. 24-24. BAPO Annual & Scientific Meeting (BAPO 2016), Liverpool, United Kingdom. Poulter, A. J., Johnston, S., & Cox, S. (2016). Using the MEAN Stack to implement a RESTful service for an Internet of Things Application. Paper presented at IEEE World Forum on Internet of Things, Italy. Hawkes, J. N., Turnock, S. R., Vaz, G., Cox, S. J., & Philips, A. B. (2015). Chaotic linear equation-system solvers for unsteady CFD. Paper presented at VI International Conference on Computational Methods in Marine Engineering, Italy. Hawkes, J., Turnock, S. R., Cox, S. J., Phillips, A. B., & Vaz, G. (2014). Performance analysis of massively-parallel computational fluid dynamics. Paper presented at 11th International Conference on Hydrodynamics (ICHD 2014), Singapore. Hawkes, J., Vaz, G., Turnock, S. R., Cox, S. J., & Phillips, A. B. (2014). Potential of chaotic iterative solvers for CFD. Paper presented at NuTTS ’14: 17th Numerical Towing Tank Symposium, Sweden. Byatt, D., Beale, G., Hitchcock, S., Pagi, H., Scott, M., Cox, S. J., ... White, W. (2013). Working collaboratively with PhD and early career researchers: agents for change. Poster session presented at 8th International Digital Curation Conference "Infrastructure, Intelligence, Innovation: Driving the Data Science Agenda", Netherlands. Asadollahbaik, A., Boden, S., Cox, S. J., & Bagnall, D. M. (2012). Moth-eye antireflective surfaces: specular reflection as a function of angle of incidence and azimuth. Paper presented at PVSAT-8, Newcastle, UK, . Hart, E., Sobester, A., Djidjeli, K., Molinari, M., Cox, S. J., & Thomas, K. S. (2010). Geometry optimization of photonic crystals. Poster session presented at Photon 10, Southampton, United Kingdom. Johnston, S., Takeda, K., Lewis, H. G., Cox, S. J., & Swinerd, G. G. (2009). Cloud computing for planetary defense. 1-2. Paper presented at Microsoft eScience Workshop, . Price, A. R., Goswami, S., Johnson, M., Almajai, I., Williams, G., Mueller, S. A., ... Edwards, N. R. (2009). The Aladdin-2 Launchpad: Engaging the user community and broadening access to the GENIE model on local and remote computing resources. UK e-Science All Hands Meeting 2009, Oxford, United Kingdom. Price, A., Molinari, M., Jiao, Z., & Cox, S. J. (2008). Extensible efficient handling of metadata for e-Science. Poster session presented at UK e-Science All Hands Meeting 2008, . Johnston, SJ., Marsh, P., Cox, S. J., & Takeda, K. (2008). Software + services for engineers. Paper presented at eScience 2008, . Molinari, M., Cox, SJ., & Takeda, K. (2006). Microsoft institute for high performance computing. Poster session presented at Fifth UK e-Science All Hands Meeting, . Molinari, M., Cox, SJ., & Takeda, K. (2006). Proof-of-concept engineering workflow demonstrator. Poster session presented at Fifth UK e-Science All Hands Meeting, . Molinari, M., & Cox, S. (2005). Combining physical simulations and chargeable web service applications in engineering workflows. 1094-1097. Paper presented at Fourth UK e-Science All Hands Meeting, . Pound, G., Wason, J., Molinari, M., Jiao, Z., & Cox, S. (2005). GeodiseLab: making the grid usable. 46-53. Paper presented at the UK e-Science All Hands Meeting 2005, United Kingdom. Wu, B., Tai, K., Ng, M. H., Johnston, S., Murdock, S., Fangohr, H., ... Cox, S. (2005). Towards a grid-enabled biomolecular simulation database. In Proceedings of the UK e-Science All Hands Meeting 2005 (pp. 4pp). Swindon, UK: Engineering and Physical Sciences Research Council. Molinari, M., & Cox, S. J. (2005). Use of GRID technologies for EIT reconstructions. 17-19. Paper presented at 6th Conference on Biomedical Applications of Electrical Impedance Tomography, . Wason, J., Jiao, Z., Song, W., Price, A., & Cox, S. (2004). Deployment and exploitation of Grid-enabled data management for engineers. 410-417. Paper presented at UK e-Science All Hands Meeting 2004, . Ng, M. H., Johnston, S., Murdock, S., Wu, B., Tai, K., Fangohr, H., ... Jeffreys, P. (2004). Efficient data storage and analysis for generic biomolecular simulation data. 443-450. Paper presented at 3rd UK e-Science Programme All Hands Meeting (AHM 2004), . Molinari, M., Kammuni, K., & Cox, S. J. (2004). Integration of chargeable web services into engineering applications. In Proceedings of the Third e-Science All-Hands Meeting (pp. 438-442). UK: Engineering and Physical Sciences Research Council (EPSRC). Price, A. R., Xue, G., Yool, A., Lunt, D. J., Lenton, T. M., Wason, J. L., ... GENIE Team, T. (2004). Tuning GENIE earth system model components using a Grid enabled data management system. In S. J. Cox (Ed. ), Proceedings of the UK e-Science All Hands Meeting 2004 (pp. 593-600). EPSRC. Eres, M. H., Pound, G. E., Keane, A. J., & Cox, S. J. (2004). User deployment of grid toolkits to engineers. 424-429. Paper presented at UK e-Science All Hands Meeting 2004, . Xu, F., Eres, M. H., Tao, F., & Cox, S. J. (2004). Workflow Support for Advanced Grid-Enabled Computing. 430-437. Paper presented at UK e-Science All Hands Meeting 2004, . Pound, G. E., Eres, M. H., Wason, J. L., Jiao, Z., Keane, A. J., & Cox, S. J. (2003). A grid-enabled problem solving environment (PSE) for design optimisation within matlab. Paper presented at 17th International Parallel and Distributed Processing Symposium (IPDPS'03), . Wu, B., Tai, K., Murdock, S., Ng, M. H., Johnston, S., Fangohr, H., ... Sansom, M. S. P. (2003). BioSimGrid: a distributed database for biomolecular simulations. In S. J. Cox (Ed. ), Proceedings of UK e-Science All Hands Meeting 2003 (pp. 8pp). Swindon, UK: Engineering and Physical Sciences Research Council. Allan, R., Baker, D., Boyd, D., Chohan, D., Cox, S., Eres, M. H., ... Watt, J. (2003). Building the e-science grid in the UK: middleware, applications and tools deployed at level 2. Paper presented at UK e-Science All Hands Meeting 2003, . Song, W., Keane, A., & Cox, S. (2003). CFD-based shape optimisation with grid-enabled design search toolkits. 619-627. Paper presented at UK e-Science All Hands Meeting 2003, . Turnock, S. R., Wright, A. M., Hudson, D. A., Keane, A. J., & Cox, S. J. (2003). Development of a web based, collaborative working environment for maritime computational fluid dynamics. Paper presented at Marnet CFD Meeting, . Chen, L., Shadbolt, N. R., Tao, F., Puleston, C., Goble, C., & Cox, S. J. (2003). Exploiting semantics for e-science on the semantic grid. 122-132. Paper presented at Web Intelligence (WI2003) workshop on Knowledge Grid and Grid Intelligence, Halifax, Canada. Pound, G. E., Eres, M. H., Fairman, M. J., Xue, G., Keane, A. J., & Cox, S. J. (2003). Grid middleware for engineering design search and optimisation.. 736-743. Paper presented at UK e-Science All Hands Meeting 2003, . Molinari, M., Cox, S. J., & Keane, A. J. (2003). Grid-enabled electromagnetic optimisation (GEM) for industrial use.. 770-774. Paper presented at UK e-Science All Hands Meeting 2003, . Eres, M. H., Pound, G., Jiao, Z., Wason, J., Xu, F., Keane, A., & Cox, S. (2003). Implementation of a grid-enabled problem solving environment in Matlab. In G. Goos, J. Hartmanis, & J. van Leeuwen (Eds. ), Computational Science – ICCS 2003: International Conference Melbourne, Australia and St. Petersburg, Russia June 2-4, 2003 Proceedings (pp. 420-429). (Lecture Notes in Computer Science; Vol. 4, No. 2660). Springer. Jiao, Z., Wason, J., Molinari, M., Johnston, S., & Cox, S. J. (2003). Integrating data management into engineering applications. 687-694. Paper presented at Proceedings of UK e-Science All Hands Meeting 2003, . Tao, F., Cox, S., Chen, L., Shadbolt, N., Xu, F., Puleston, C., ... Song, W. (2003). Towards the semantic grid: enriching content for management and reuse. Paper presented at Delivering e-Science, UK e-Science All-hand Conference 2003, Nottingham, United Kingdom. Tao, F., Chen, L., Shadbolt, N., Pound, G., & Cox, S. (2003). Towards the semantic grid: putting knowledge to work in design optimisation. Paper presented at I-KNOW '03 International Conference on Knowledge Management, Graz, Austria. Xu, F., & Cox, S. J. (2003). Workflow tool for engineers in a grid-enabled Matlab environment. 212-215. Paper presented at UK e-Science All Hands Meeting 2003, . Beckett, D. H., Cox, S. J., Generowicz, J. M., Hiett, B. P., Molinari, M., & Thomas, K. S. (2002). Application of finite element methods to photonic crystal modelling. 15-16. Paper presented at 4th International Conference on Computation in Electromagnetics, CEM 2002, . Hiett, B. P., Beckett, D. H., Cox, S. J., Generowicz, J. M., Molinari, M., & Thomas, K. S. (2002). Application of Finite Element Methods to Photonic Crystal Modelling. Fangohr, H., Dodgson, M. J. W., Koshelev, A. E., de Groot, P. A. J., & Cox, S. J. (2002). Computer simulation studies of a layered pancake system using the substrate model. Poster session presented at Condensed Matter and Materials Physics Conference 2002 and the 19th General Conference of the EPS Condensed Matter Division, . Fangohr, H., Dodgson, M. J. W., de Groot, P. A. J., & Cox, S. J. (2002). Computer simulation studies of layered pancake systems using the substrate model. 219. Molinari, M., Blott, B. H., Cox, S. J., & Daniell, G. J. (2002). Convergence issues of non-linear 3D reconstruction in EIT. Paper presented at First Mummy Range Workshop on Electric Impedance Imaging, . Cox, S. J., Jiao, Z., & Wason, J. L. (2002). Data management services for engineering. Paper presented at UK e-Science All Hands Meeting 2002, United Kingdom. Chen, L., Shadbolt, N., Tao, F., Cox, S. J., Keane, A., Goble, C., ... Smart, P. (2002). Engineering knowledge for engineering grid applications. Paper presented at Euroweb 2002: The Web and the GRID: from e-science to e-business, . Cox, S. J., Chen, L., Campobasso, S., Duta, M. H., Eres, M. H., Giles, M. B., ... Xu, F. (2002). Grid enabled optimisation and design search (GEODISE). 54-55. Paper presented at UK e-Science All Hands Meeting 1 (2002), . Finlayson, C. E., Netti, M. C., Baumberg, J., Charlton, M., Zoorob, M. E., Parker, G., ... Cox, S. (2002). Separation of photonic crystal modes using femtosecond time-of-flight measurements in a waveguide. Paper presented at Photon 02, United Kingdom. Baumberg, J., Netti, M. C., Finlayson, C. E., Charlton, M., Zoorob, M. E., Wilkinson, J. S., ... Parker, G. (2002). Trirefringence and time-resolved propagation in photonic crystal waveguides. Paper presented at PECS IV: International Workshop on Photonic & Electromagnetic Crystal Structures, United States. Fangohr, H., J.Dodgson, M., de Groot, P. A. J., & Cox, S. J. (2001). Computer simulation studies of a layered pancake system using the substrate model. Poster session presented at VIII. Vortex Workshop, Bariloche, Argentina. Molinari, M., Cox, S. J., Blott, B. H., & Daniell, G. J. (2001). Efficient non-linear 3D electrical tomography reconstruction. 424-432. Paper presented at Proceedings of the 2nd World Congress on Industrial Process Tomography, . Molinari, M., Fangohr, H., Generowicz, J., & Cox, S. J. (2001). Finite element optimizations for efficient non-linear electrical tomography reconstruction. 406-417. Paper presented at Proceedings of the 2nd World Congress on Industrial Process Tomography, . Molinari, M., Blott, B. H., Cox, S. J., & Daniell, G. J. (2001). Non-linear electrical tomography reconstruction of simple test objects and a simulated head slice. 26. Paper presented at Proceedings of the 3rd EPSRC Engineering Network Meeting on Biomedical Applications of EIT, . Molinari, M., Blott, BH., Cox, SJ., & Daniell, GJ. (2001). Non-linear Electrical Tomography Reconstruction of Simple Test Objects and a Simulated Head Slice. 26. 3rd EPSRC Engineering Network Meeting on Biomedical Applications of EIT, . Molinari, M., Cox, S. J., Blott, B. H., & Daniell, G. J. (2001). Optimal finite element modelling and efficient reconstruction in non-linear 3D electrical resistance tomography. 41-45. Paper presented at Proceedings of the 3rd EPSRC Engineering Network Meeting on Biomedical Applications of EIT, . Molinari, M., Cox, SJ., Blott, BH., & Daniell, GJ. (2001). Optimal Finite Element Modelling and Efficient Reconstruction in Non-Linear 3D Electrical Resistance Tomography. 41-5. 3rd EPSRC Engineering Network Meeting on Biomedical Applications of EIT, . SJ, C., MJ, F., G, X., JL, W., AJ, K., & Pinkston, T. M. (Ed.) (2001). The GRID: Computational and Data Resource Sharing in Engineering Optimisation and Design Search: 1st. 207-212. Proceedings of the 2001 ICPP Workshops, . Molinari, M., Cox, SJ., Blott, BH., & Daniell, GJ. (2000). Adaptive Mesh Refinement for Electrical Impedance Tomography. 14-18. Proceedings of the 2nd EPSRC Engineering Network meeting on Biomedical Applications of EIT, . Molinari, M., & Cox, S. J. (2000). Fast electrical impedance tomography for non-invasive medical imaging. Poster session presented at The Institute of Physics' Young Physicists Conference (YPC2000), . Wason, J. L., Cox, S. J., Keane, A. J., Allen, R. (Ed. ), & Kleese, K. (Ed.) (2000). Flexible knowledge repositories for problem solving environments. 199-205. Paper presented at Data Management 2000 - Proceedings of the International Workshop on Advanced Data Storage / Management for High Performance Computing, . Generowicz, J. M., Hiett, B. P., Cox, S. J., & Beckett, D. H. (2000). Modelling 3 Dimensional Crystals using Vector Finite Elements. 4-5. Applied Optics and Opto-Electronics Conference, . Generowicz, J. M., Hiett, B. P., Beckett, D. H., Cox, S. J., Molinari, M., & Parker, G. (2000). Modelling Photonic Crystals Using Finite Elements. Takeda, A. L., Cox, S. J., Payne, A. J., & Arabnia, H. R. (Ed.) (2000). Parallel numerical modelling of ice flow in Antarctica. 335-41. Takeda, A. L., Cox, S. J., & Payne, A. J. (2000). Parallel numerical modelling of ice flow in Antarctica. In H. R. Arabnia (Ed. ), Proceedings of the International Conference on Parallel and Distributed Processing Techniques and Applications (PDPTA 2000) (pp. 335-341). USA: CSREA Press. Molinari, M., & Cox, SJ. (2000). Poster: Fast Electrical Impedance Tomography for Non-Invasive Medical Imaging. Takeda, K., Allsopp, N. K., Hardwick, J. C., Macey, P. C., Nicole, D. A., Cox, S. J., & Lancaster, D. J. (1999). An assessment of MPI environments for windows NT. In Proceedings of the International Conference on Parallel and Distributed Processing Techniques and Applications (PDPTA'99) (pp. 1898-1904). USA: CSREA Press. Caton, M. J., Cox, S. J., Blott, BH., Daniell, G. J., Nicole, D. A., & Holder, D. (Ed.) (1999). Prospects for high fidelity imaging in nonlinear EIT using high performance computing. 1-6. Cox, S. J., Reshetnyak, V., & Sluckin, T. J. (1970). Effective Medium Theory of Light Scattering and PDLC films. Reshetnyak, Y., Sluckin, T. J., & Cox, S. J. (1970). Effective Medium Theory of Polymer Dispersed Liquid Crystal Droplet Systems 1: Spherical Droplets. 1-6. Reshetnyak, Y., Sluckin, T. J., & Cox, S. J. (1970). Effective Medium Theory of Polymer Dispersed Liquid Crystal Droplet Systems II: Partially Oriented Bipolar Droplets. Price, A. R., & Cox, S. J. (1970). GENIEfy: Collaborative study of GENIE Earth System Models on the Grid. NERC Annual eScience Meeting 2006, . Cox, S. J., Reshetnyak, V., & Sluckin, T. J. (1970). Theory of Dielectric and Optical Properties of PDLC films. Molecular Crystals and Liquid Crystals. Byatt, D., Scott, M., Beale, G., Cox, S. J., & White, W. (2013). Developing researcher skills in research data management: training for the future - a DataPool project report. Southampton, GB: University of Southampton. Wu, B., Dovey, M., Tai, K., Ng, M. H., Murdock, S., Fangohr, H., ... Sansom, M. S. P. (2004). Security and BioSimGrid: a biomolecular simulation database. University of York, Department of Computer Science. Cox, S., Jones, R., Lawrence, B., Milic-Frayling, N., & Moreau, L. (2006). Interoperability Issues in Scientific Data Management (version 1.0).